While designing wedding invites for a friend, I was commissioned to make a special card for a 75th birthday. The theme: hunting. Not really my cup of tea so I tried to put a positive spin on it. As we are in Africa, I used animal prints (which I never use as it is not really me) and I am quite satisfied with the outcome. Then finished this little artwork by adding a little red dotted ribbon as a hanger. 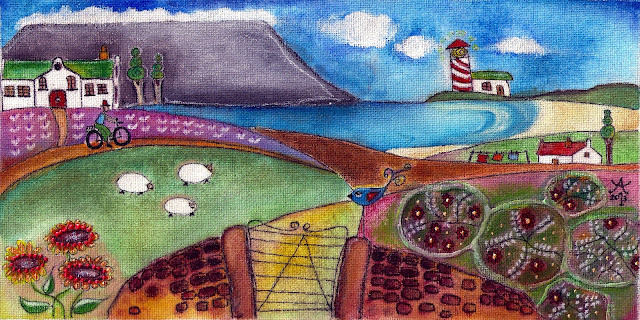 This artwork will also be used in our new mixed media workshop we are planning. I will be teaching at least 3 or 4 little girls like this. I have designed templates that can be used in any size. 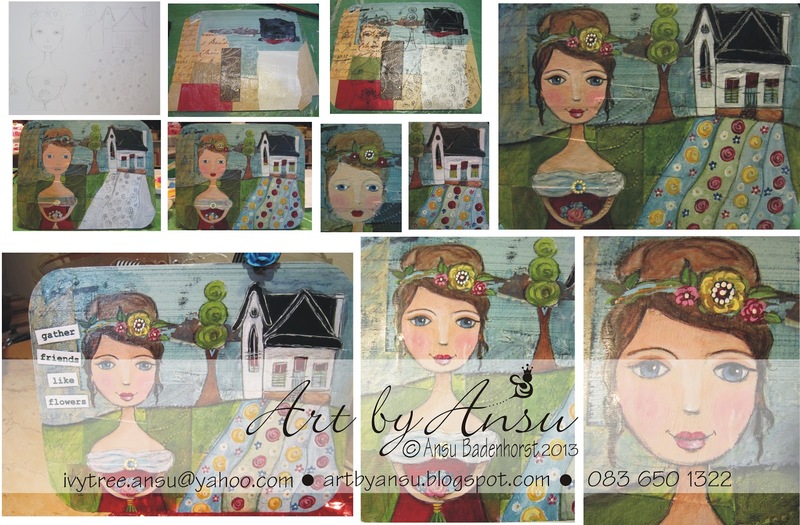 Layering with paper, paint and ink, stencilling and stamps and anything you can imagine for that matter. I love making gifts for my friends and another friend had a birthday in April so I decided to make a little artwork for her and to call it: Gather friends like flowers. 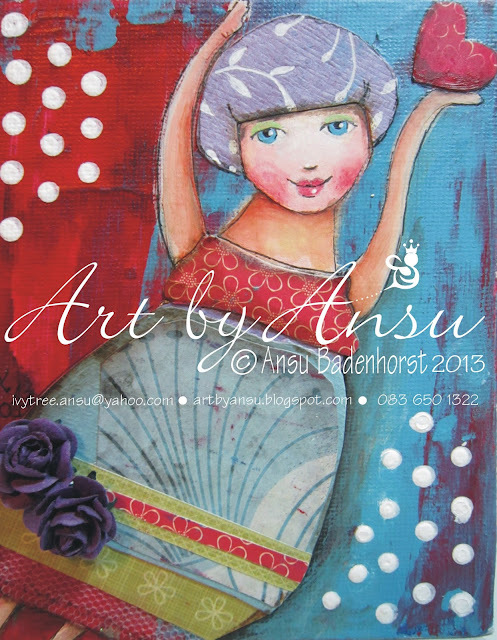 I am into little houses and trees and small landscapes these days and was inspired by a local artist and namesake: Annie's Art http://www.anniesart.co.za/ So colourful and simplistic. And this is my latest artwork with some inspiration from Annie's Art: I added a little black and white ribbon as a hanger with a little paper rose to finish it off. This was the gift for my friends April Birthday.